This week its mainly bee's and blocks to update..
3. Sew Happy Geek QAL - caught up from the last 2 weeks - just this week's then all caught up! no progress. I've been avoiding it.. want to see why? February is the month of curves. 6. 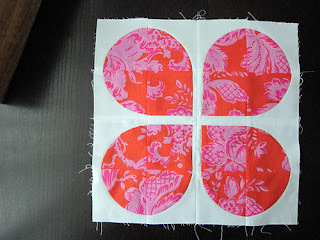 Mouthy Stitches Swap - design determined.. must get sewing! Polka Dot Charm Swap is full! Also, just noticed i'm at 199 followers.. Giveaway when I get to 200?? Labels: do.good stitches, halloween cross stitch, quilting for kids, shg qal, w.i.p. Everything looks great! I love the asterisk block! Good luck with the curves! Love that asterisk block and that retro flowers, thats one of my new favs! Oh, wow! *love* your Geek qal! Hey just noticed you are at 200 gratz. Make sure you stop by and put your guess in my quilt givaway by guessing my babys B-day or Birth Weight. Crap! I forgot to add the Quilting for Kids to my To Do list. I knew I was missing something! I really want to try some curves this year too. All of your bee blocks look great. Gorgeous blocks, love rachel's choice too! yay for your new bee! !